Hello all! 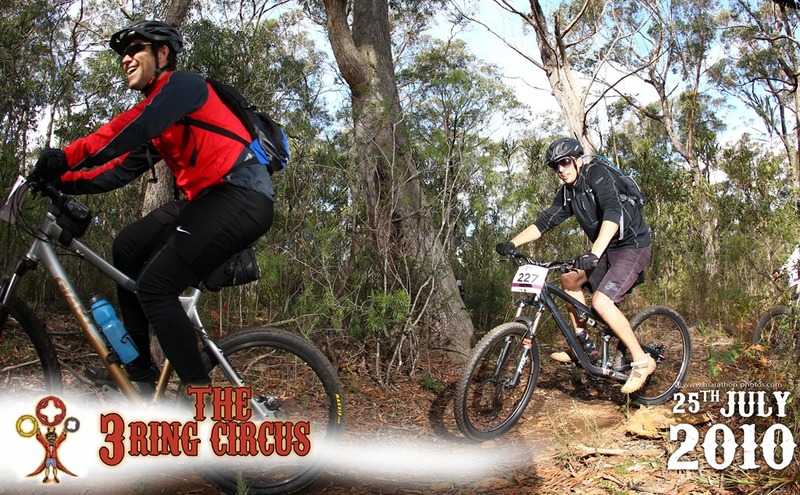 Brendon and I completed our first ever mountain bike race on the weekend called the 3 Ring Circus (mountain bike events always have funny names). 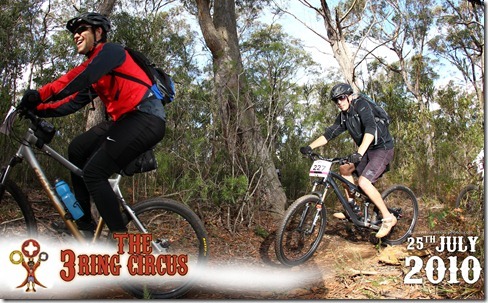 It was a endurance event over 50 km’s off-road with a mix of fire trail and single track. There was a bit of a issue at the start though. The night before Brendon and I pulled apart our bikes to squeeze them into the back of our tiny cars, my Peugeot 206cc and his smart car (smart car + mountain bike inside = looks stupid). Trouble is as it was dark I left one small part that holds my back wheel on, on the grass! 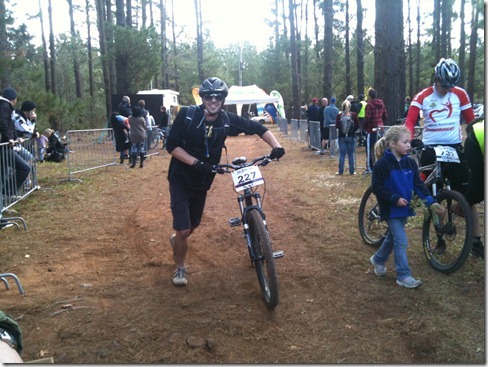 When we got to the event we found the part was missing and so asked the race mechanics but as I have a fancy bike (or whizz bang bike as they called it), they didn’t have the spare part. Next the announcer on the PA put a message out to the hundreds of people asking if anyone had the spare part, no one came forward. Then after 2 minutes this lovely lady came over and said she just found out she has bronchitis and did I want to use her bike. 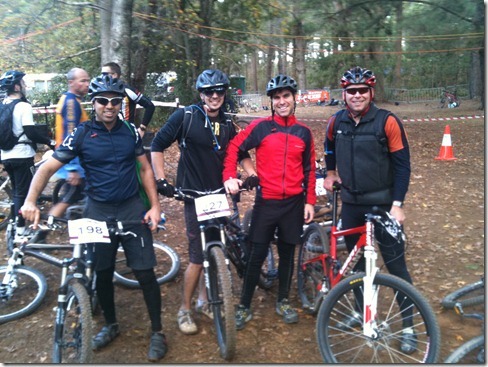 well it wasn’t the best bike in the world it has to be said, it was pretty crap really, but it was a bike! 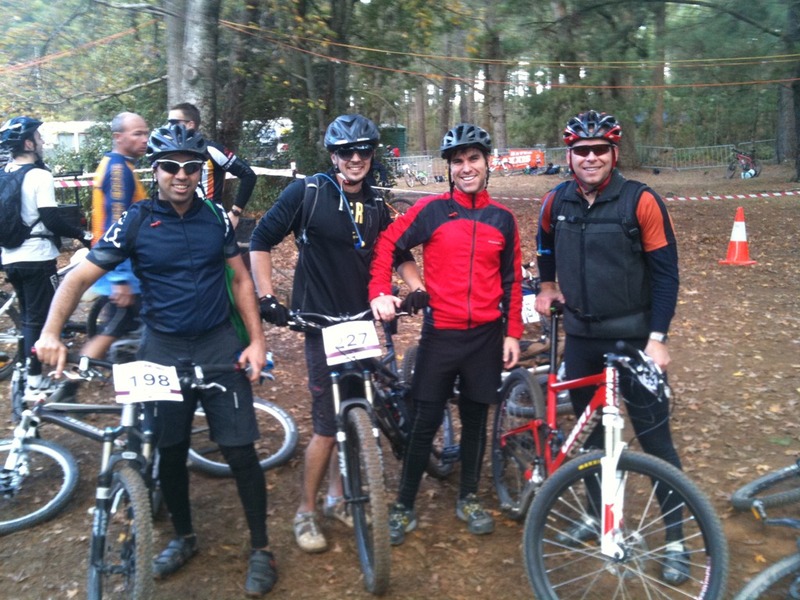 I did the event with my handicap of a crappy bike and to my amazement I overtook crazy rider Ian in the last few km’s and came first out of our 4 man group with a time of 3:24 and 54 seconds, great! Go the girl bike! 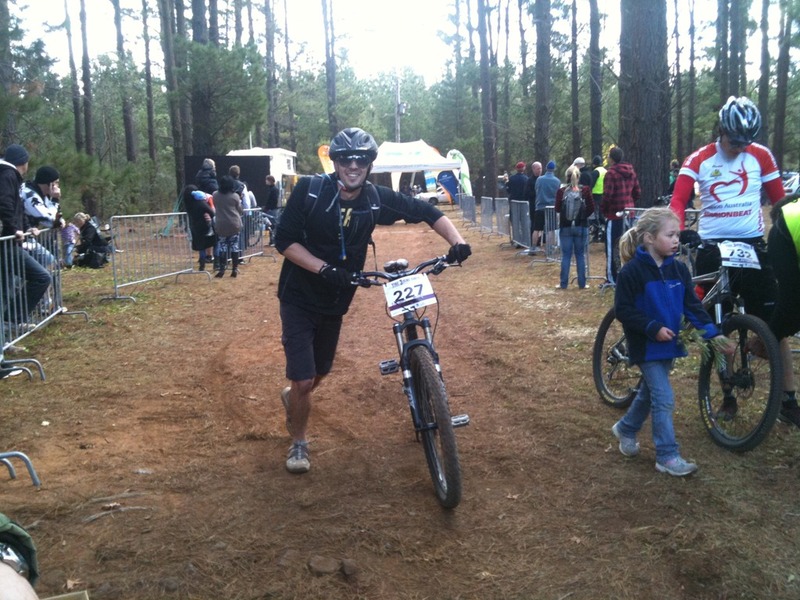 Here’s how our times stacked up, I came first and on a girls bike ha-ha. The feature to make comments on Beddysblog has been unavailable for a few months now but I’ve finally cracked it and you can leave comments again, hooray!